Flatdogs (the colloquial name for a crocodile! 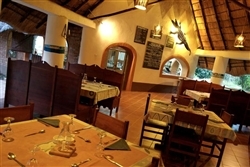 ), prides itself on its flexibility and family-friendly atmosphere. You have an excellent choice of accommodation. There are 8 chalet rooms, with the 6 regular rooms positioned in 3 separate buildings. Each of the 3 buildings has a downstairs double room with en suite bathroom and an upstairs twin or triple room with their own private bathroom downstairs. Each chalet room is completely separate to any of the other rooms. more single beds but has no en suite bathroom, people sleeping here would need to share the bathrooms downstairs. 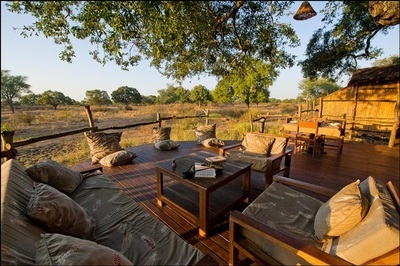 There is also Jackalberry Tree House, which is set in a private spot away from the rest of camp. The “house” is made up of 3 joined platforms built around three mature Jackalberry trees. There are two en-suite bedrooms with an open sitting/dining deck in-between them. 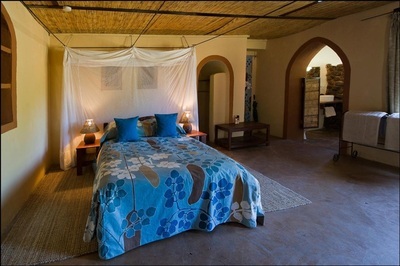 Each bedroom has an open air bathroom platform down a short flight of steps with hot shower, flush toilets and basin. A large sofa, armchairs and throw cushions are spread out on the middle deck for relaxing during the heat of the day. There is also a fridge and honesty bar, along with tea and coffee-making facilities. 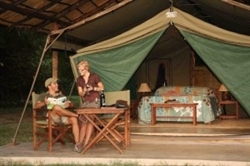 Flatdogs also offers accommodation in 12 Safari Tents, all of which are en suite. There are 6 luxury tents, on the banks of the Luangwa, each of which has a thatched roof for extra shade, with a canvas half roof over the bathroom, full-sized beds with mosquito nets and all bedding and towels provided. The tents have electric lights, a fan and charging point for camera batteries. In addition there are 6 Standard en-suite safari tents which are slightly smaller than the Luxury tents, but are still walk-in tents pitched in private bush settings and have bathrooms with open air shower, toilet and basin. 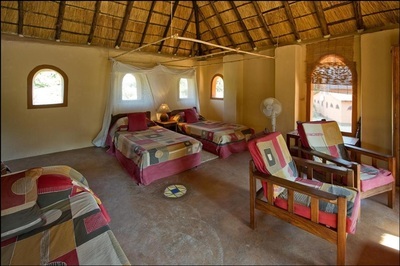 The standard tents also have full beds, bedding, electricity and fans, but do not extra mosquito-nets since they are fully gauzed on all windows and doors. Part of Flatdogs flexibility is that you can stay on a room only rate – which means adding meals and activities as you require them. 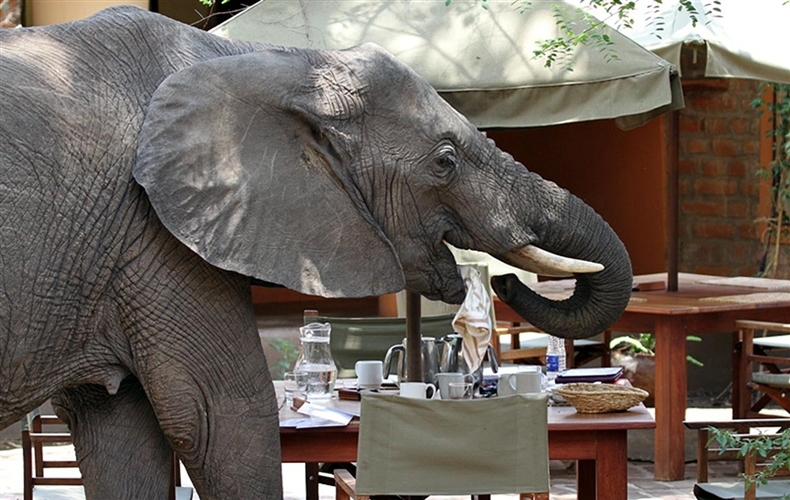 Alternatively there is the fully-inclusive rate which includes meals and the game drives and walks. The Camp’s restaurant serves breakfast, lunch, dinner and snacks throughout the day. The menu is á la carte, with no set meal-times, or set meals, allowing you to choose when and what you would prefer to eat. There is also a children’s menu, with flexible serving times – and there is a nanny/ listening service so that you can have a later dinner after the kids have gone to bed. The bar is open-plan, and acts as the main meeting place for guests, with plenty of ice-cold drinks, and comfortable chairs. You can also make use of a lounge area, which even has internet access. You might also choose to relax in and around the swimming pool – which is extremely popular in the hotter months, and comes complete with water-slide! The main focus at Flatdogs is, of course, game viewing in the South Luangwa. 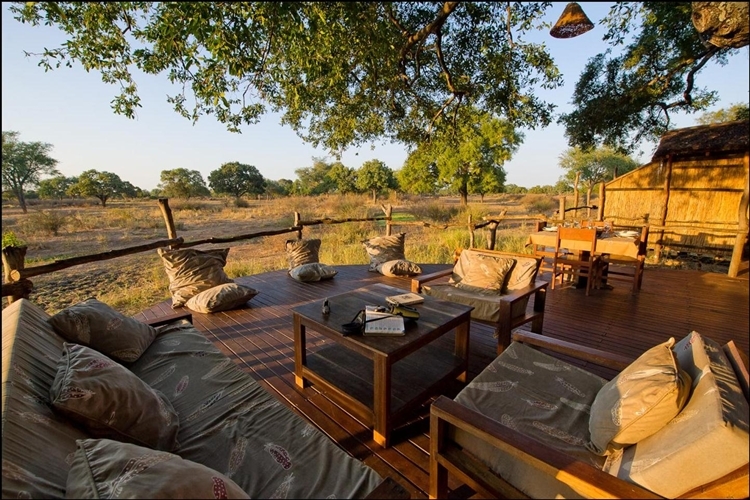 You guide will take you on game drives (including night drives), where you get to explore this fascinating Park. 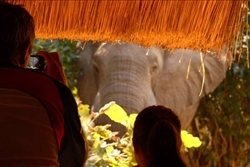 In addition, between May and November, you can enjoy a guided walk – surely the best way of enjoying the bush.